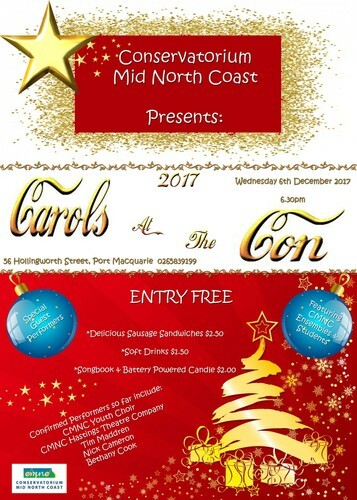 The CMNC is very proud to be presenting it's very first 'Carols at the Con'! Featuring CMNC Ensembles and Students, we can't wait to hear the performances and sing along to our christmas favourites. BYO Blanket to sit on. Chairs will be available. If the weather turns inclement, we will take the show inside. Enquiries to the CMNC on 65839199.